Toulouse sits in the region of France now known as the Midi-Pyrenees, halfway between the Atlantic Ocean and the Mediterranean Sea. It is an ancient city with a long and proud history. 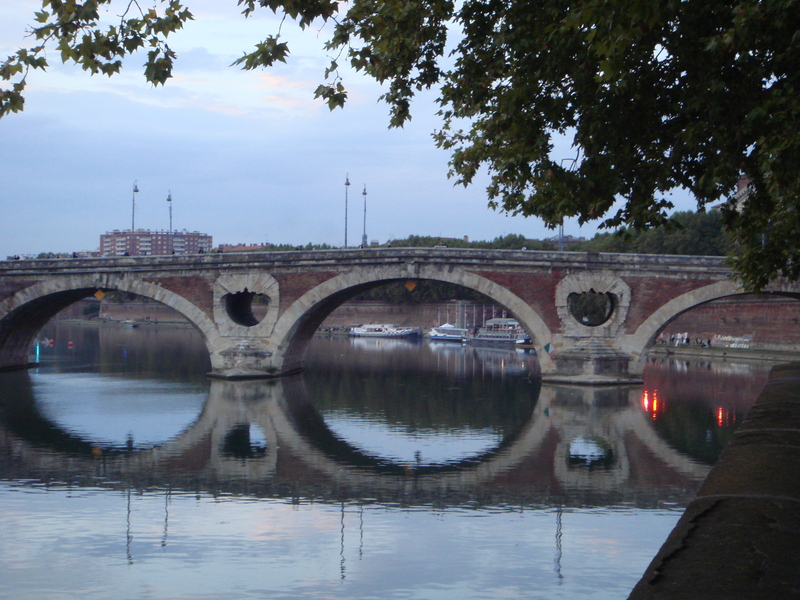 The first Toulouse was established at a ford on the banks of the River Garonne long before Roman conquest. At the time of the Roman Empire it was the third largest city and the intellectual centre of Gaul. After the fall of Rome and after the rise of Charlemagne, as the County of Languedoc, the region enjoyed a long period of peace, prosperity and independence from the rest of France. Toulouse retained its reputation as a centre of culture and learning from the 5th to the 13th centuries and its courts, which were considered the most civilised in Europe, gave rise to the literary and musical traditions of Languedoc and the Troubadors. In 1229, threatened by the Toulousain Cathar heresy, which they believed was a result of too much freedom of thought and independence, France invaded and brought the region under its heel. With the Treaty of Paris in 1229, it became a French Territory. In 1271, to quell further heretical tendencies and to promote orthodox religious philosophy, the French Inquisition established Toulouse University, which is now one of the oldest in Europe. Toulouse and its surrounds were largely untouched by the upheaval of the industrial revolution and it remained, until the 20th century, a somewhat isolated, tranquil centre of agriculture and culture. It was not until after Clemont Adler made the world’s first aeroplane 20 kilometres from Toulouse, that the region made its first venture into industry. It established an aircraft factory. France’s first flight was made from Toulouse by team of fliers including native Toulousain Antoine de St Exupery, who also continued the region’s literary tradition with his famous works Vol de Nuit and Le Petit Prince. Today, Toulouse has a population of 117,000. It is the 5th largest city in France and the largest in the Midi-Pyrenees region. It has grown out from that ford on the Garonne and spread along, away and out from the river on all sides. The aerospace industry is thriving. Toulouse is now a major centre for the European aerospace development and is the headquarters of the Airbus and of the Galileo positioning system. With the aerospace boom has come enormous growth. Between 1960 and 2000, the population doubled and the city developed into an impressive modern metropolis. Still, the Garonne still flows quietly under old arched bridges of pink stone. Fish jump in the bright green water and on the flat grassy banks patient fisherman watch for a twitch on their lines. Boats full of tourists and commuters chug slowly along the river and the canals which cut across and through the city.